I have always liked the crisp look of white and one other color - my favorites are blue & white and red & white. These combinations seem both old-fashioned and fresh at the same time. Red and white are perfect for Valentine's Day. 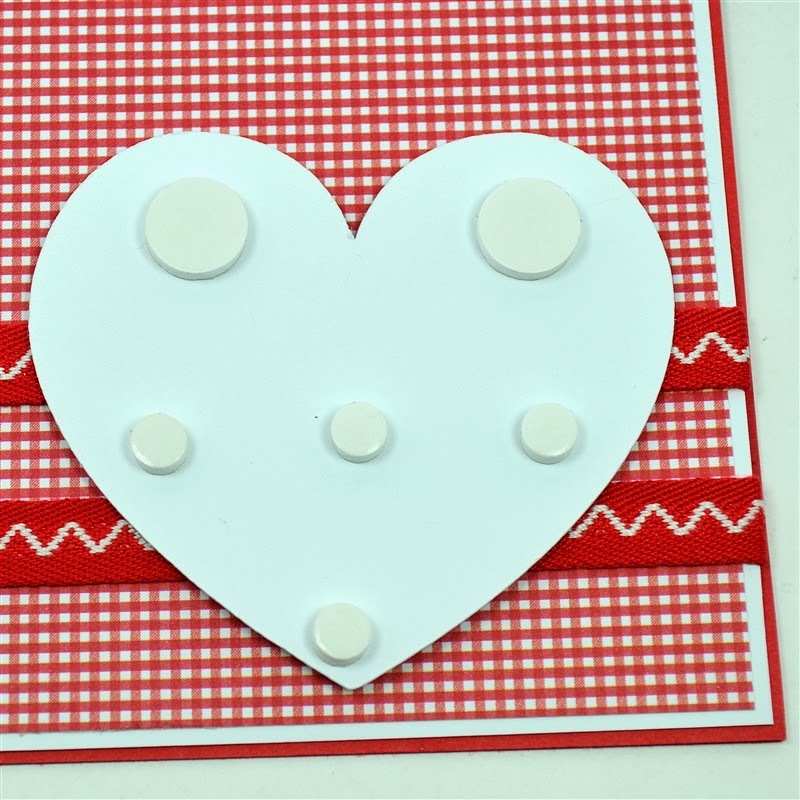 Close to my Heart has a special offer for January - if you spend $35 you can purchase the Cloud Nine cardmaking kit for just $15 (it has a retail value of $46). 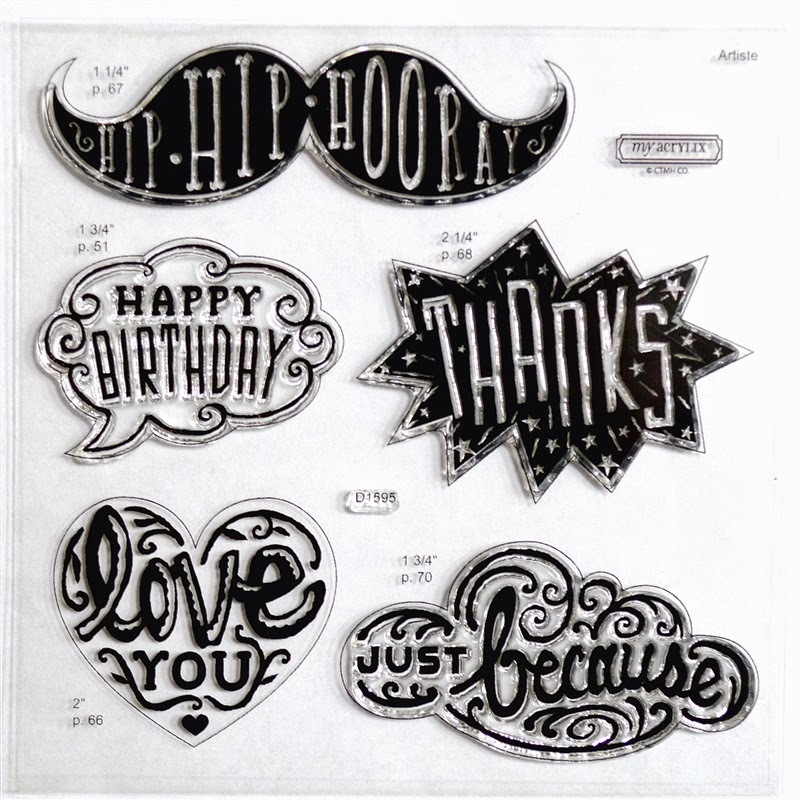 My friend Joy is a CTMH consultant (her website is HERE) and she sent me a cardmaking kit to try out. The colors are not ones that I would usually choose but I think they are bright and cheery. The Cloud Nine kit includes this stamp set and while I am not 100% sure about the mustache at the top, I think the other four stamps will be very useful. 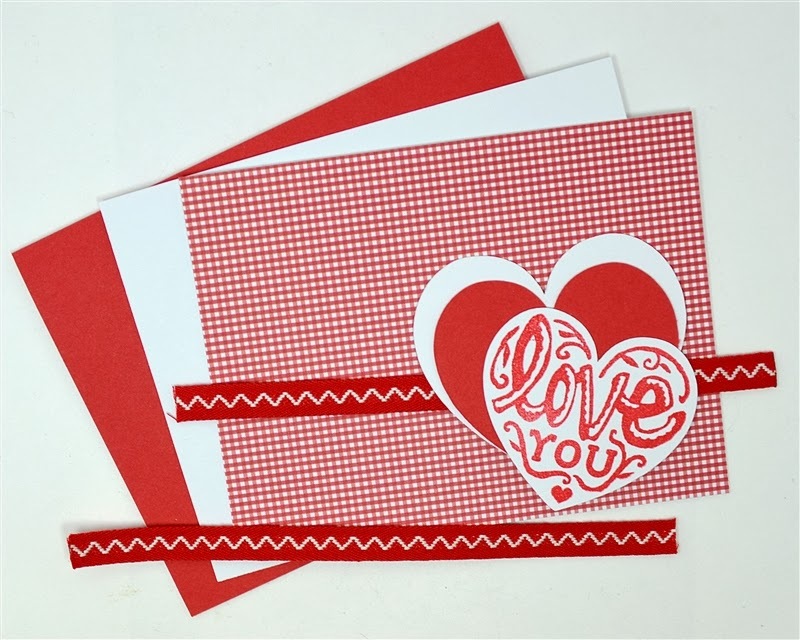 I particularly like the heart shaped stamp and decided to make a card that looked nothing like the one in the kit for a valentine. This stamp set coordinates with the CTMH Artiste Cricut cartridge (one of the best cartridges ever!) and the size and page number of the coordinating cut are printed right on the clear stamp sheet. This heart is on page 66. A word of caution - the clear stamp sheet says to cut the heart at 2 inches. I did that and discovered that I should have chosen "real dial size" to get a cut that is the proper size. The first cut is on the right of this photo. 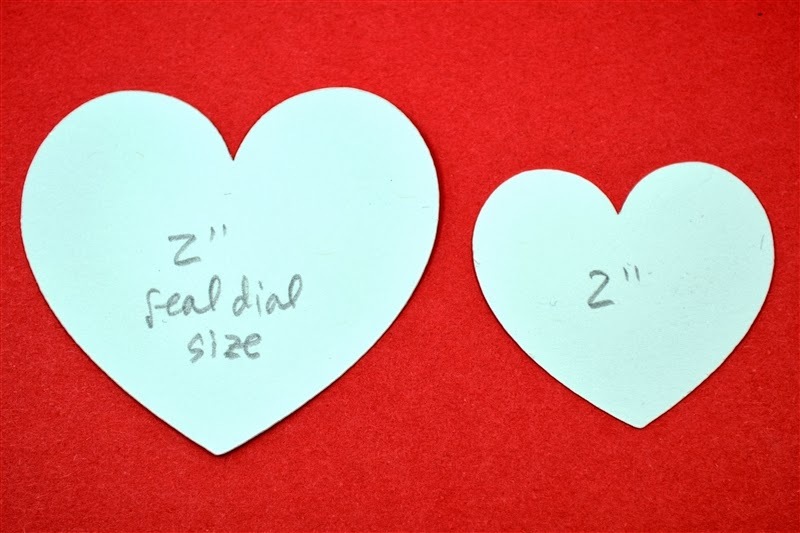 It is sized to fit on the "I (Heart) you" sentiment in proportional sizing so you need to use real dial size to get a cut you can stamp on. I sometimes have trouble stamping directly on the cut shape but I discovered a couple of helpful things to do. 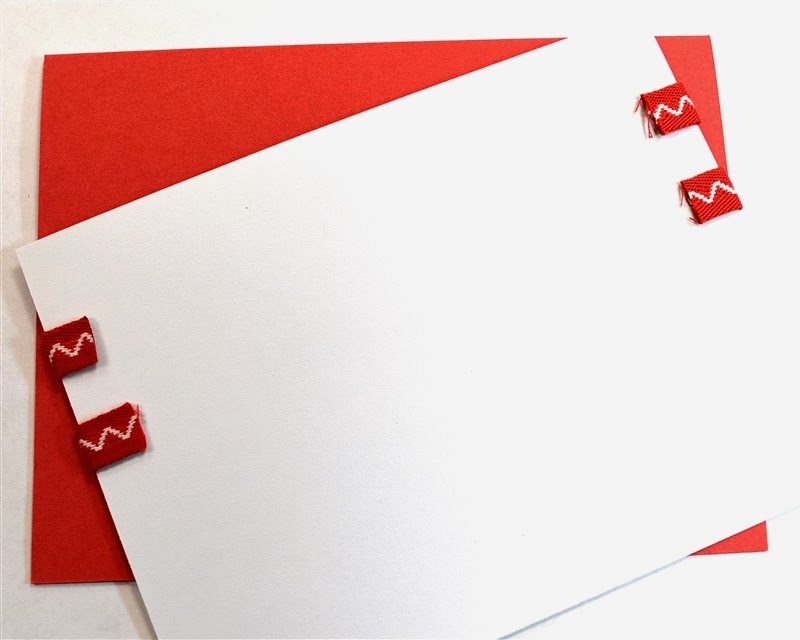 One is to be sure to have a contrasting paper color behind the shape that you are stamping. 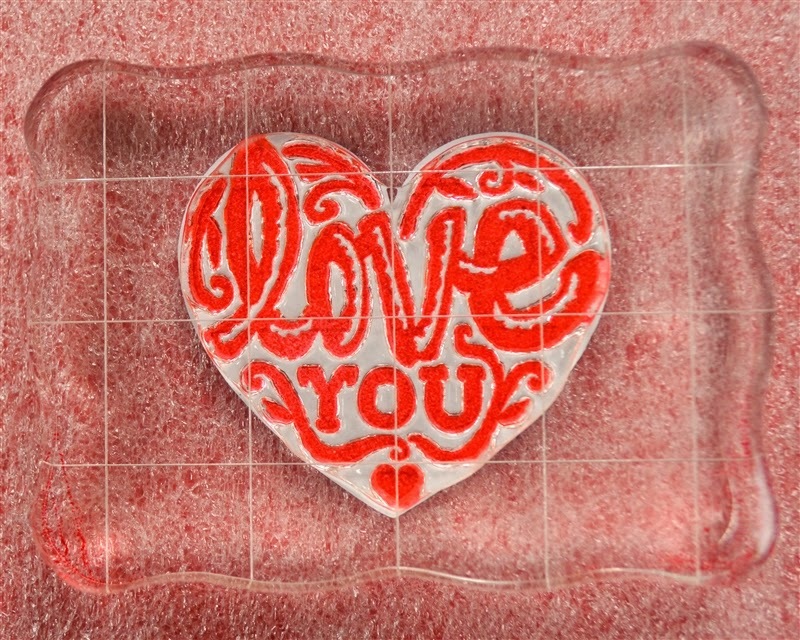 The other is to use the thin foam sheet that comes in the stamp sets and sit the shape on the foam before you stamp. This helps to hold the shape straight and also cushions the stamp to help make insure that the ink all transfers properly. There was not a shadow shape for this heart so I decided to just try using cuts 1/4 inch or 1/2 inch larger. I actually prefer the effect of the irregular border at these sizes over a normal shadow shape - I think it looks more interesting. You could try to alter the shape to be a more even shadow by using the Gypsy or CraftRoom software if you want a perfectly even shadow. 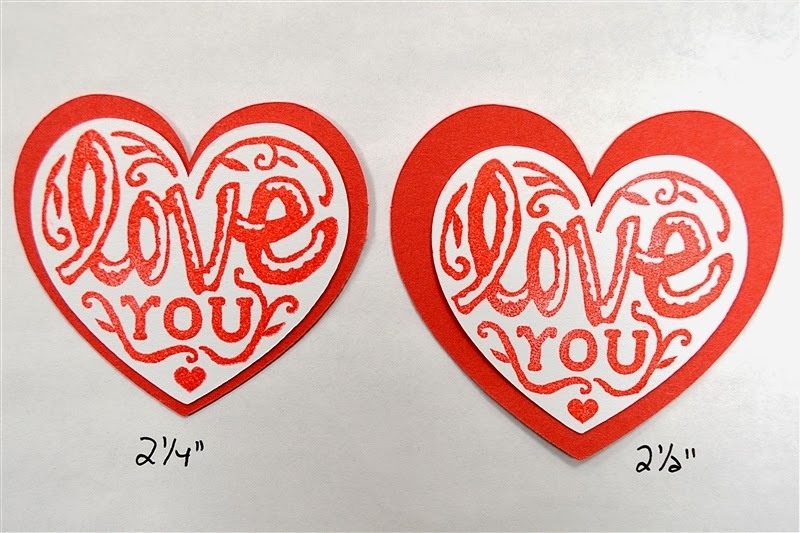 I tried a few different variations and finally settled on this triple layer for the heart, the white heart stamped in red at 2 inches, a red layer at 2 1/4 inches and another white heart cut at 2 1/2 inches. Here are the pieces for this card. The card base is 8 1/2 x 5 1/2 folded to 4 1/4 x 5 1/2 inches. 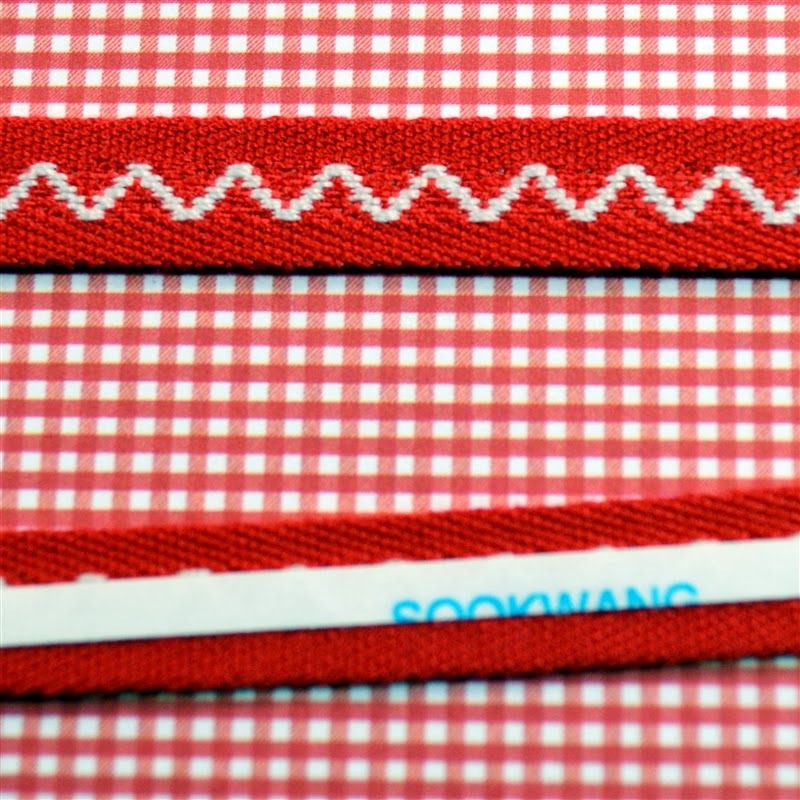 The white layer is cut at 5 3/8 x 4 1/8 inches and the red gingham is cut at 5 1/4 x 4 inches. I just wanted a narrow line of white to define the edge of the card. The ribbons with the zig zag design were from a grab bag I purchased in a sale - I think they were from Stampin Up. 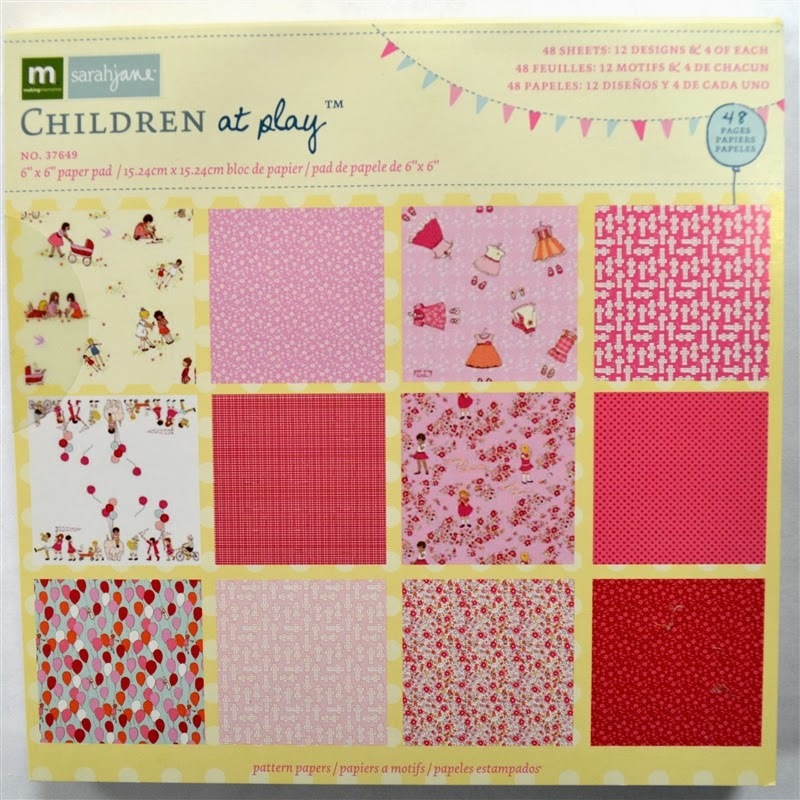 The tiny gingham paper is from this 6 x 6 paper pad -Children at Play by Sarahjane Studios for Making Memories. 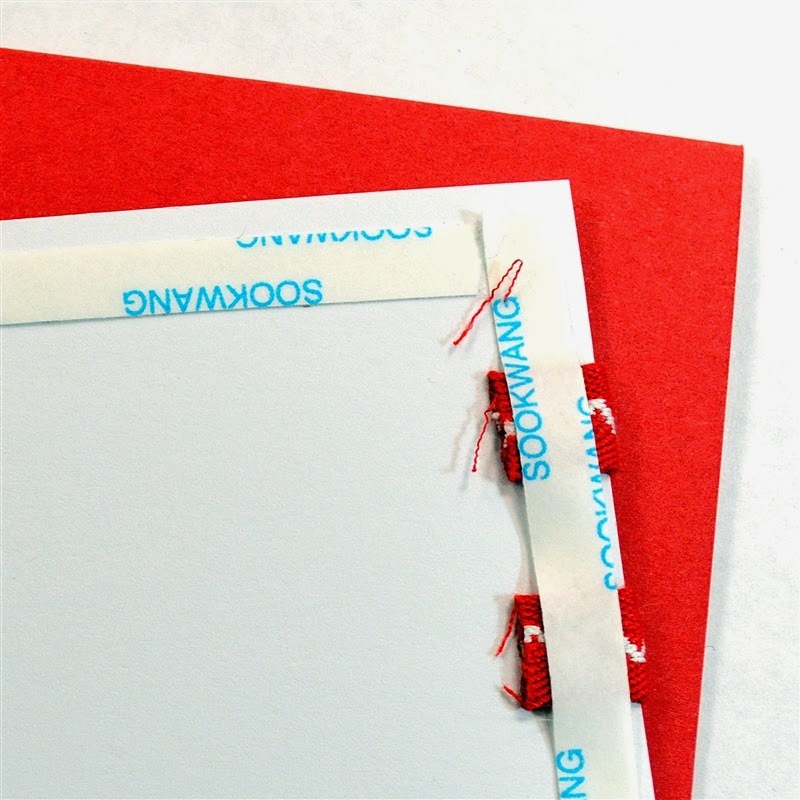 I used 1/8 inch ScorTape to adhere the ribbon to the front of the card. 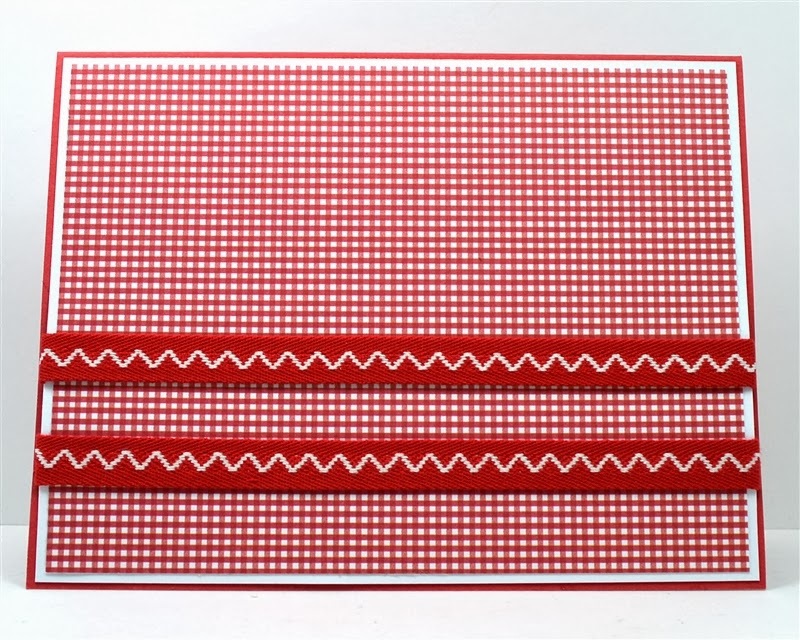 I find this to be the best for ribbon - it holds very securely and doesn't buckle the paper. I wrapped the ends of the ribbon around to the back of the white layer - the ScorTape holds them down neatly. Since this ribbon was rather thick, I used 1/4 inch ScorTape around the edges of the card to secure it to the card base. I ran it right over the ribbon ends that were turned to the back. 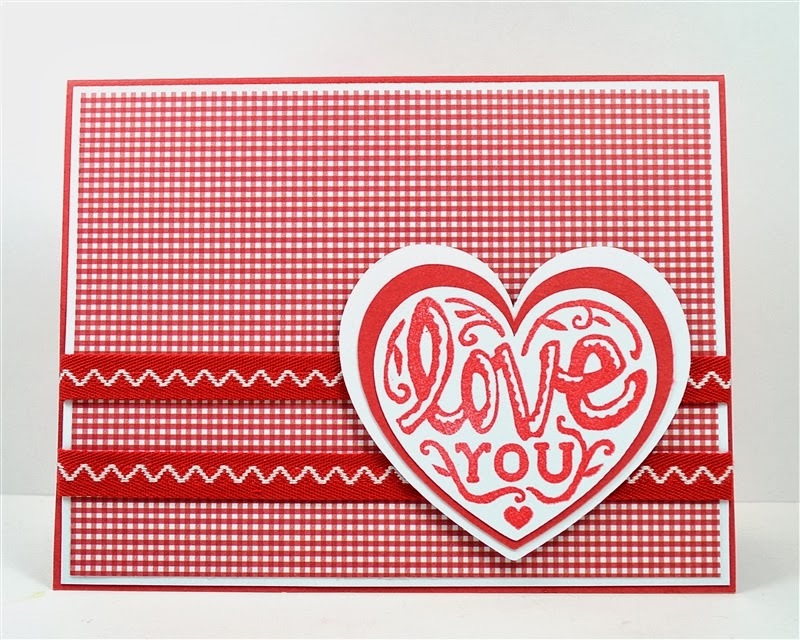 Here is the card base with layers and ribbon - ready for the heart to be added. I wanted the heart to be raised up on the card front. To make sure my foam dots would not interfere with the ribbon, I put the shape on the ribbons upside down and added dots so they would hit the paper areas and not the ribbons. Here is the finished card. 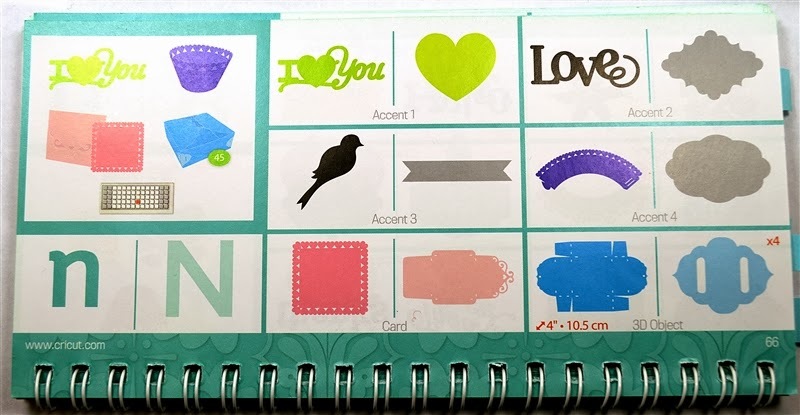 I'll have a few tips about the inside and alternative ides for the heart stamp in another post. I think this looks so sweet but it is not overly frilly as some Valentines can be. 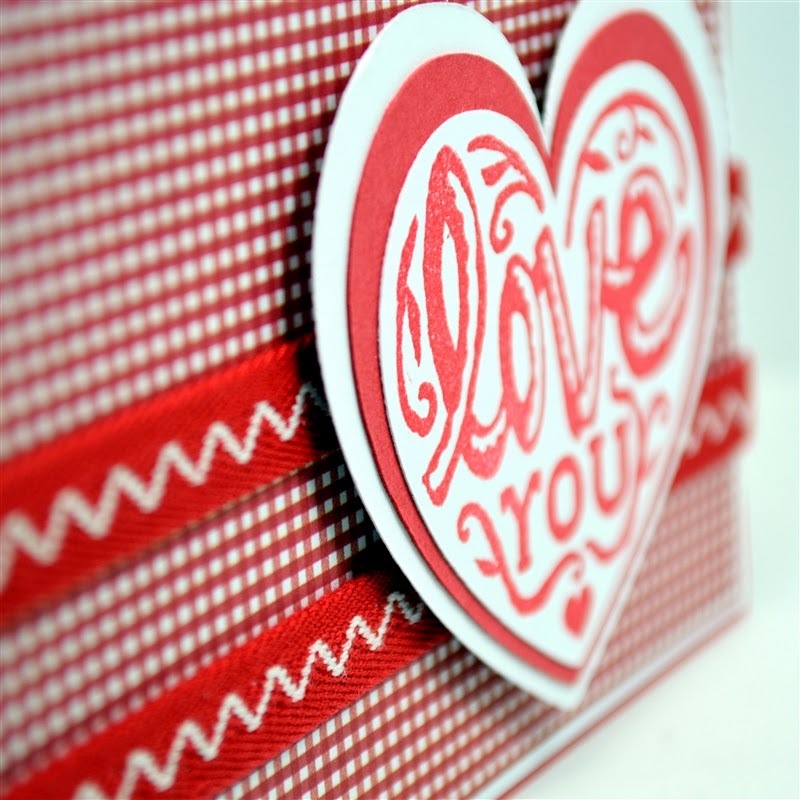 Be sure to check out Joy's blog Obsessed with Scrapbooking HERE for lots of great ideas. Her Close to My Heart website is HERE. 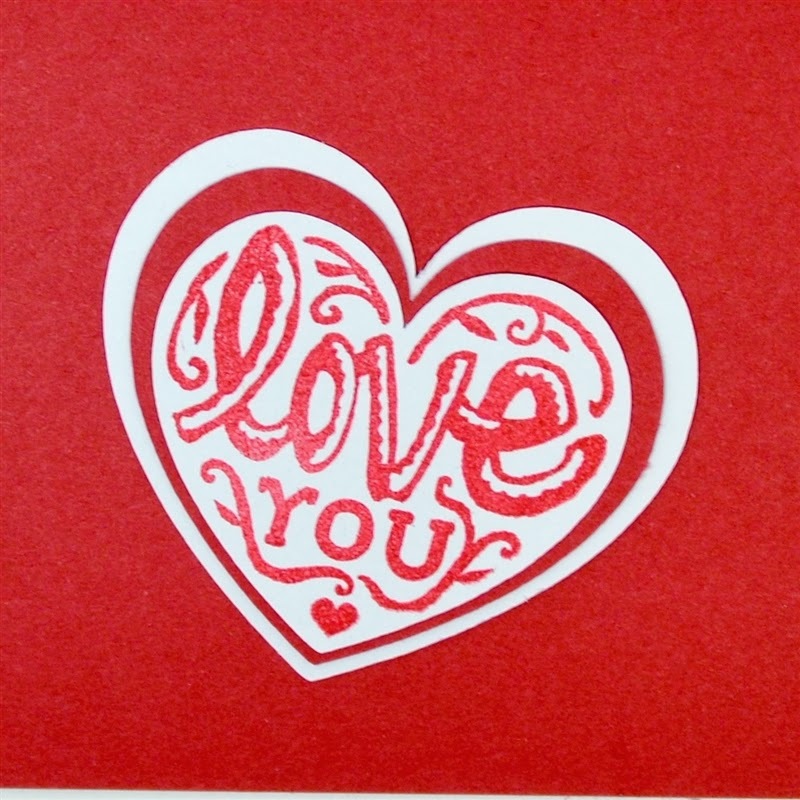 Have you started making valentine cards yet? Do you make a lot of them or just a few? I have some designed in the Cameo software that I hope to cut out today - even if I am not snowed in! I hope you are safe and warm if you are in the path of the Winter storm Janus. The worst of the big storm just missed us - we have a few inches of new snow but just south of here they had about 10 inches of the white stuff. Cameo to compare. Downfall is I have a Kindle Fire and another android tablet and don't want to buy an IPad just to use the machine wirelessly or design on the go. Sad there;s no more support for the Gypsy. Look forward to your Cameo tutorials. Stay warm and safe.